The 10th International Meeting of Communist and Workers Parties hasbeen successfully held in Sao Paulo, Brazil, from 21-23 of November 2008, hosted by the Communist Party of Brazil. Sixty-five partiesattended from 55 different countries. Representatives of the parties delivered speeches on the theme of themeeting: "New phenomena in the international framework. Worseningnational, social, environmental and interimperialist contradictions andproblems. The struggle for peace, democracy, sovereignty, progress andsocialism and unity of action of Communist and Workers’ Parties." Thetexts of these interventions will be published in full by the hostparty. The meeting allowed an important exchange of ideas to take placebetween the parties. The 10th meeting received a message from the President of the FederalRepublic of Brazil, Luis Inacio Lula da Silva, expressing his"recognition of all your struggles in defence of the workers and thepoor" and "your commitment to build a new economic international order." 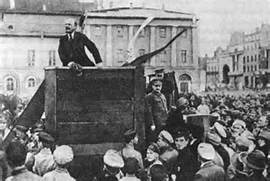 The 10th Meeting was held in the midst of a severe crisis ofcapitalism, a theme that was addressed in all the speeches. Manyparticipants emphasised the structural and systemic nature of thecrisis, pointing out that crisis is a characteristic of capitalistdevelopment, which in this case has been intensified by the neo-liberalfinancial policies of recent decades. The current crisis demonstrates the complete failure and collapse of neo-liberalism, speakers argued, but it does not automatically represent the end of capitalism. On the contrary, the bourgeoisie is using its political power in the most developed countries to mount a ‘rescue operation’ for their system. But far from making capitalism more virtuous, these policies aim to make workers pay the cost of trying to resolve the system’s intrinsic contradictions. This severe crisis also explodes the myth that the counter-revolutions of 1989-1991 represented the final and irreversible triumph of capitalism. It highlights both the limitations of capitalism as a social system and the need to overturn it in a revolutionary way. About the issue of capitalist crisis the 65 parties adopted the "Proclamation of Sao Paulo," which states that ‘Socialism is the Alternative’. Many parties stressed the positive significance of the growing challenge to United States hegemony in the world, noting that humanity has entered a stage of reinvigorated anti-imperialist struggle for the independence, development and social progress of people and nations. In this regard some parties noted the importance of emergence of new coalitions of developing countries, like IBSA (trilateral forum among India, Brazil and South Africa) and the regular meetings of BRIC’s (Brazil, Russia, India, China) as expressions of a reinvigorated South-South relationship. For all the Communist and Workers Parties present, the crisis reinforces the need to bring forward the issue of the transition to socialism, and to intensify the battle of ideas among the people at a time when the limits of capitalism are exposed for all to see. The parties present also stressed the symbolic importance of holding their annual meeting in Latin America for the first time, underscoring the internationalization of the process of annual meetings, and taking into account that this region has become a pole of anti-neoliberal and anti-imperialist resistance. The 10th Meeting adopted a declaration of ‘Solidarity with the Peoples of Latin America and the Caribbean’ welcoming the popular struggles and the recent victories achieved across the continent by democratic, progressive and anti-imperialist forces, including the Communists. The participants of the meeting expressed their strong preoccupation about the explosive situation in the Middle East caused by the plans of the imperialism to reshape the region, the occupation of Iraq and the continuous oppression of Israel against the Palestinian people. The parties called the attention especially about the humanitarian crisis in Gaza that the Israeli siege causes and demanded the end of the siege, as well as the elimination of the racist wall and the Israeli settlements. The participants decided to promote a series of joint actions, like: initiatives about the capitalist crisis; solidarity campaigns with Cuba on the occasion of the 50th anniversary of the Cuban Revolution; anti-NATO initiatives on the occasion of the 60 years since its foundation; actions of solidarity with Palestine, including visits of delegations to Gaza. Over the weekend, the delegates of the 65 Communist and Workers Parties took part in a public rally in solidarity with the struggle of the Latin American people. There, they had the opportunity to attend, along with the Brazilian communist militants, the contributions of representatives by Latin America’s progressive political and social movements and reiterate their internationalist solidarity.